Remember when I said that if I didn’t make a conscious effort everything I created would end up in shades of blue and purple? This is what I was talking about. 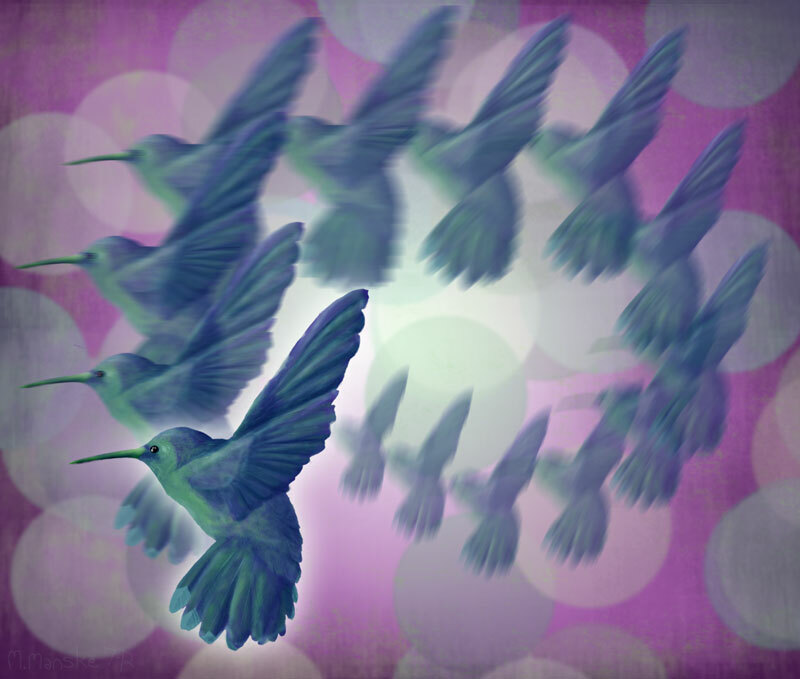 Actually, someone saw my other hummingbird image on my Etsy shop and asked if I could create a companion piece to go along with it. Of course I obliged. Oh well. I is what I is, and I is a girl that looooooves her cool colors. They’re just so peaceful and calming…and to me, they’re happy. Low key. Not passive, but also not all up in your face. Blue and purple are the color personalities I would most likely want to befriend. I’ve been absolutely horrid at keeping this page updated. If there’s one recurring them in my life it’s trying to find BALANCE. Balance between family, two jobs, keeping the house un-destroyed (organized is one level beyond what I realistically feel I can accomplish) and then trying to find time to create things is tough to manage. Usually I’m failing at at least one of them. I also tend to flip back and forth between creating mode and consuming mode, and the last couple of months has been all about consuming. Sometimes you just want to absorb and process the things OTHER people have come up with. When my youngest was really small I has basically ZERO time to read anything without being interrupted, but now that she’s bigger I’m finding these pockets of time here and there that I can actually stretch out on the couch with a book, and I’m loving it. For Christmas I received a hundred-dollar Visa card and blew the whole thing on Amazon. So far I’ve only made it through three of the six books I purchased, but I’m slowly working my way through them. Right now I’m alternating between the works of Rumi (be still my heart… so, so, SO achingly exquisitely GOOD it makes me want to cry) and this rather dense but fascinating book called The Perennial Philosophy that basically talks about the core tenants of Truth that all the world’s religions have in common. I’m not much for fiction lately (although once in a while something will grab my attention) but throw something in my hands about art, history, geometry, astronomy, spirituality….I’m hooked. Oh, and cookbooks. I love to read a cookbook. Seriously, read it cover to cover. I’m such a dork. 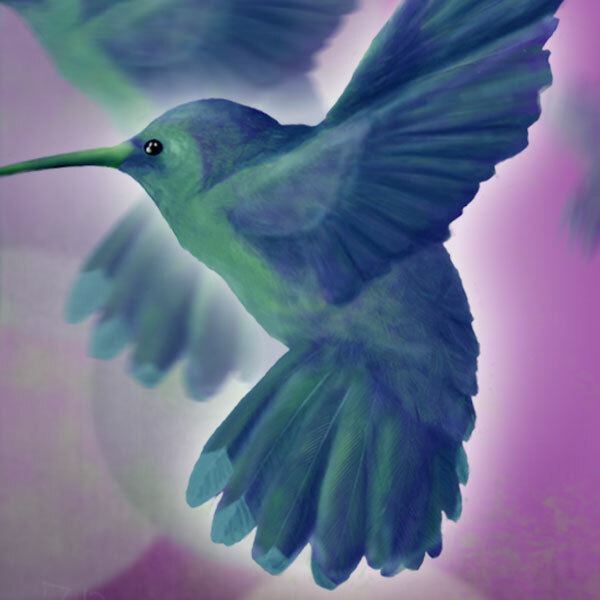 Oh yes….and since I went way off topic….here’s the image that the new hummingbird image goes along with. What do you think?